Avriel Christie Shull gained national attention as an accomplished designer/builder of mid-20th century contemporary homes and business buildings. Her designs were revolutionary at the time, yet she never had degrees in her field, and never graduated from college. Avriel was born in 1931 and grew up during the Great Depression and wartime, attending Carmel schools. After high school, she entered Butler University and later John Herron School of Art, but she did not graduate from either. She thought she wanted to be an artist but found her calling in architectural design. Her father, Donald Christie, was a successful banker. He and his wife and two daughters lived just west of Carmel High School on 2nd St., N.E. Avriel married Richard Shull, a writer and columnist for the Indianapolis News. The couple had two daughters. 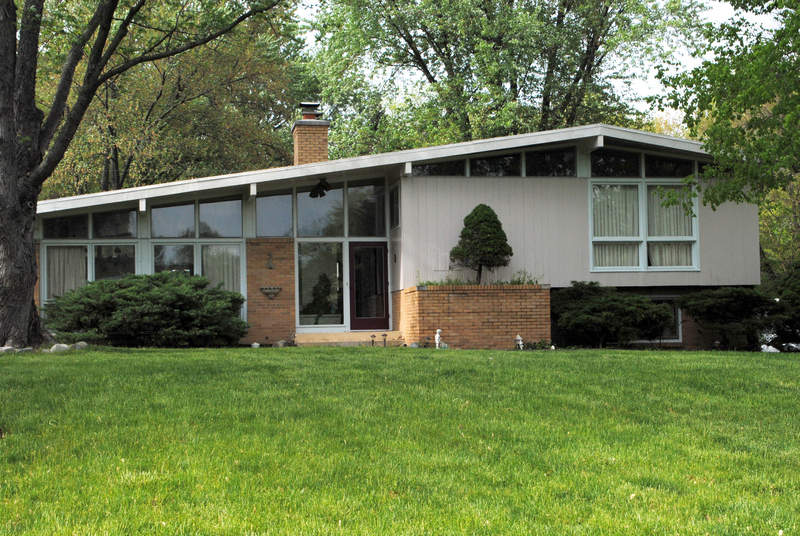 In the mid-1950s, she decided she would develop a neighborhood of modern homes of her own design. She located her subdivision on a tract owned by her father near the corner of West Main Street and Guilford Road just outside what was then the Carmel city limit. She named the subdivision Christie’s Thornhurst. She designed each of her first 21 homes in a small studio located behind her parents’ home. The novel-style homes were a big hit and attracted the attention of the news media and other designers. She also did interior design and décor for a number of clients. Avriel was invited to design her then-unusual stone and timber houses with unique roof lines in various upscale neighborhoods around Indianapolis. Later she designed structures out-of-state including a restaurant in California, a public library in West Virginia and even an apartment complex in Indianapolis. Besides the homes in Thornhurst, her work locally included the Woodland Springs Clubhouse and Ben’s Island Restaurant which was located near the south entrance to the present Clay Terrace mall. That building was torn down several years ago. Avriel also designed a spectacular home on 40 acres for her own family on U.S. 31 north of Carmel. At only 46 years of age Avriel died from complications of diabetes. Her homes, now more than 60-years-old, are still in great demand and often bring prices well above typical ranch style homes of the same age and size. Posthumous tribute went to Avriel’s work in 2010 when the Thornhurst addition was placed on the National Register of Historic Places. Yolanda Lockhart-Howe liked this on Facebook. Stephanie Saunders Marshall liked this on Facebook. Jennifer Fox liked this on Facebook.